Full name: Open Joint-Stock Company Permoblneft. 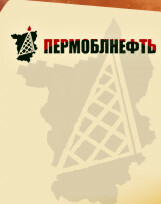 Open Joint-Stock Company Permoblneft was founded in accordance with Resolution No 91 of the Soviet of People’s Deputies of Perm Region dated 22 April 1981 as agreed upon with the Ministry of Fuel Industry of RSFSR to meet the fuel requirement of the Region. State-owned enterprise NGDU Permoblneft was reorganized into Open Type Joint-Stock Company Permoblneft under RSFSR Law “On Privatization of State-Owned and Municipal Enterprises in RF” with modifications and amendments, dated 5 February 1992, the President of Russia’s Decree № 721 “On Measures to Reorganize State-Owned Enterprises into Joint-Stock Companies” dated 01 July 1992.